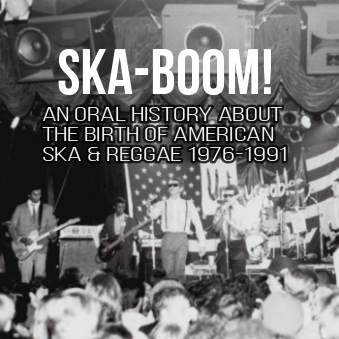 I’m writing an oral history about the birth of American ska and reggae called Ska Boom: An Oral History About The Birth of American Ska & Reggae that will be published by DiWulf Publishing later this year or in early 2020. I've created this podcast to document the book writing process and in this podcast I’m telling the story of the 1993 Skavoovee tour of the U.S. featuring the Skatalites, Special Beat, the Selecter and the Toasters which had much to do with expanding the popularity of ska across the U.S. The podcast includes interviews with vocalist Coolie Ranx of the Toasters/Pilfers, Randy "Now" Ellis of City Gardens fame, who was the Skavoovie tour manager and Special Beat keyboardist Sean Flowerdew. I'm busy working on "Ska Boom! An Oral History About The Birth Of American Ska & Reggae" and I'm about halfway through the book writing process. One year in, I've finished drafting the first 10 chapters and have 10 more to research and write. While I've posted updates to Facebook, I decided it would be more interesting to create a podcast that includes interview snippets and songs from some of the musicians and bands I've written about. 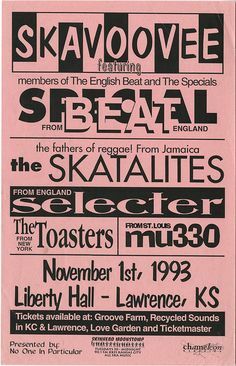 In the very first episode I've included anecdotes and stories from book chapters on The Shakers from Berkeley, CA who were the very first American reggae band that were signed to Elektra/Asylum Records by David Geffen; The Untouchables who helped popularize ska in Los Angeles and were later signed to Stiff Records in the U.K. and The Boxboys who can be called one of the very first American ska bands, forming at UCLA and building a ska at the renowned O.N. Klub in the late 70s and early 80s. In the second episode, I reflect on the fact that it's been 37 years since The Specials have recorded new music with Terry Hall! The band release their new album "Encore" on Friday February 1st and I can't wait to hear it. If the two songs the band have released so far, "Vote For Me," and "Ten Commandments" are any indication, then we all have a lot to look forward to! To that end, I'm sharing a new podcast episode that's based on soundbites from interviews I've done for the book that focus on The Specials and the impact their first self-titled album released in 1979 had on young Americans who were later inspired to start or join American ska bands. 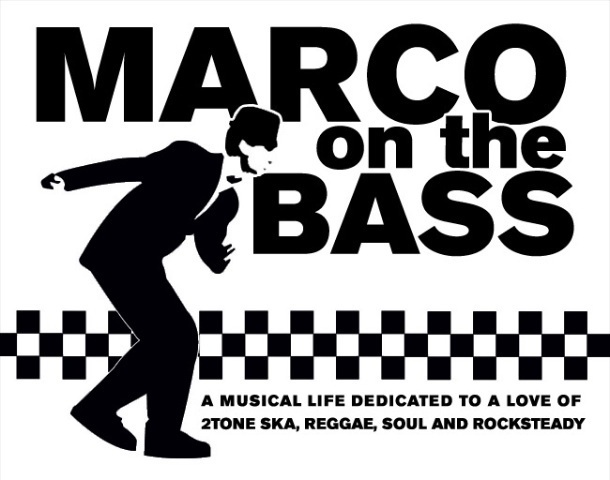 In this episode I share clips of interviews with Howard Paar, a young Englishman who found himself in LA in 1979 and upon hearing the band's first single "Gangsters" decided to open what became the ON Klub that kicked-off a ska revolution in LA. Next focus of clips from musicians from the New York City ska scene - - Constant Bernard of Second Step, Jeff "King Django" Baker of The Boilers and later Skinnerbox and Brendan Tween of Mephiskapheles, who share the very diverse and yet similar ways that The Specials impacted them.